September 6, 2018 3:07 pm. A check of the betting markets on races at Moonee Valley and Rosehill has swayed Lindsay Park to tackle a Melbourne option with Muswellbrook. The three-year-old is a $6.50 chance in Saturday’s 1Print Handicap (1500m) at Moonee Valley while a $26 hope for the Group Two Stan Fox Stakes over the same trip at Rosehill. “We’ll go where the market reckons he’s a better chance, but he’s also a VOBIS Gold horse so we’ll try and take advantage of that as well,” co-trainer Tom Dabernig said. Muswellbrook could head north later in the campaign depending on his performances in his coming starts. Dabernig indicated next month’s Group One Spring Champion Stakes at Randwick was a consideration. “We’ll show that he’s in form here and then if we’re happy we’ll then look at that,” Dabernig said. “We thought up in Sydney at this stage it looked a bit of a smart field and we might have been chucking him in at the deep end. 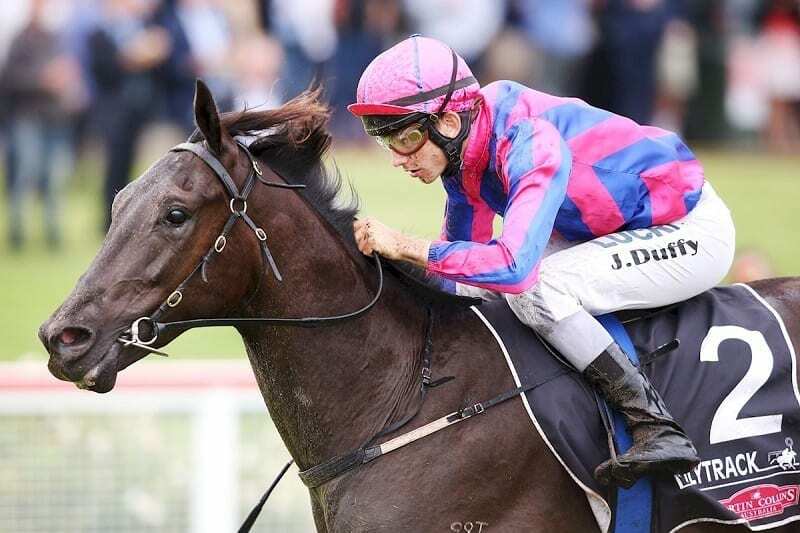 Lindsay Park will also run Seberate in Saturday’s Valley race with both three-year-olds owned in similar interests. Dabernig indicated a leaning towards Muswellbrook after Seberate disappointed when having his first run back from a break. He said no plans had been set for Seberate after Saturday. “I think with these three-year-olds we’ve just got to see how they rate at the time, whether we go a bit ambitious or go a bit conservative,” Dabernig said. Seberate is a $21 chance in betting with last start-impressive Adelaide winner Approach Discreet, trained by Darren Weir, a firm $3.10 favourite.